The ability to confess judgment is a powerful tool for a creditor. Lenders regularly employ provisions permitting confessions of judgment as a standard remedy where a borrower is in default. The language permitting the lender to confess judgment is contained in a warrant of attorney. While the mere inclusion of the warrant of attorney permitting the lender to confess judgment against a defaulting borrower, of itself, is a formidable tool, there are additional steps a lender should take to further enhance the enforcement options available to it and to maximize the power and leverage that can be brought to bear against a defaulting borrower. The confession of judgment provision is only effective insofar as the obligation it was meant to enforce. If only a promissory note exists to document the loan, a confession of judgment contained therein will be limited to the monetary damages recoverable from the borrower under the note. In order to enhance the lender’s ability to collect from the borrower and to fully secure the lender’s claims, the lender should require an acceleration clause in the promissory note and, in addition to the promissory note, require a mortgage, a commercial security agreement perfected through the filing of UCC financing statements and personal guaranties. Acceleration Provision: In order to maximize the effect of a confession of judgment provision, the note should contain an acceleration clause, by which the lender may declare the entire amount of the loan plus interest, costs and attorney’s fees immediately due and owing in the event of an uncured default by a borrower. In the absence of an acceleration clause a lender may only enter judgment for the delinquent payments. Mortgage: A mortgage is employed to secure the note with real estate owned by the borrower. It gives the lender a priority over other creditors in a tangible and valuable asset of the debtor. The mortgage can and should contain a confession of judgment for possession which would permit the lender to take possession of the mortgaged real estate in the event of a default even prior to any sheriff’s sale of the real estate or even a final judgment on the merits of the lender’s claim. Security Agreement: A commercial security agreement perfected by the filing of a UCC financing statement or as otherwise provided by law, documents and records the lender’s lien on the business assets of the borrower. When properly perfected, it gives the lender priority over other creditors of the borrower in the pledged assets. Personal Guaranties: Personal guaranties of the owner of the borrower along with that of the owner’s spouse will provide additional security for the lender. Any guaranties of the borrower’s obligation should additionally contain a confession of judgment for money to further protect the lender. The lender may even require that the guarantors pledge additional real estate or other assets, including the primary residence of the owner and the owner’s spouse. The pledge of the assets belonging to the business and the business owner not only provides additional security and value for the loan, but provides lender with a priority over other creditors in these assets. As illustrated herein, the lender’s rights and ability to collect from a defaulting borrower, and to do so in an expeditious fashion, can be greatly enhanced by the lender properly documenting and securing the loan. 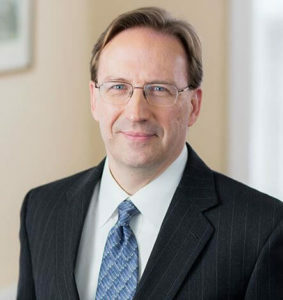 Leo M. Gibbons is a partner in MacElree Harvey’s Banking and Finance practice. Licensed in Pennsylvania, Leo advises financial institutions, businesses, individuals and owners of commercial real estate on creditors’ rights, loan enforcement, loan workouts, complex business disputes, bank litigation and secured transaction litigation, collection actions, foreclosure proceedings and landlord/tenant disputes. Leo can be reached at 610-840-0227 or [email protected].